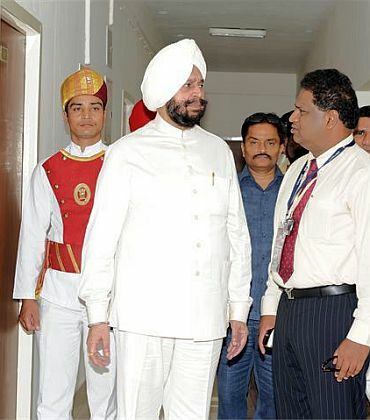 Under scanner of the Enforcement Directorate for his alleged links with Hasan Ali Khan, Puducherry Lieutenant Governor Iqbal Singh has admitted recommending expeditious issuance of passport to the alleged tax evader but claimed he did not know him. In a letter to Home Minister P Chidambaram, whom he also met on Friday, Singh also admitted that he had written a letter to the Ministry of External Affairs in 1997 recommending renewal of the passport Chandrika Tapuriah -- wife of Kashinath Tapuriah, an associate of Hasan Ali who is presently in judicial custody in the case. In his letter, Singh said that on April 4, 1997 a politician from Bihar, Amalendu Pandey, approached him for issuance of passport from Patna for someone on compassionate grounds. The reason given was the brother of the person seeking passport was seriously ill abroad and the presence of the applicant for looking after him was extremely essential. "In view of the plea, explained by Amalendu Pandey, a known Congress leader, I referred the case to the then Minister of External Affairs I K Gujral on April 4, 1997. It is pertinent to mention here that I did not know the said applicant H Khan at all neither did I ever meet him. 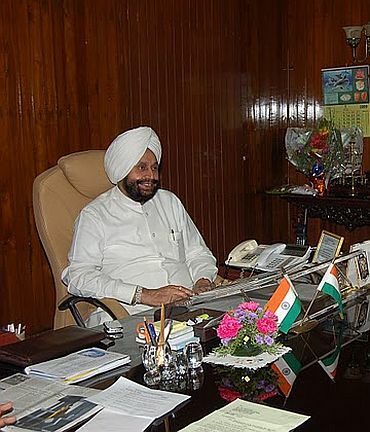 I only issued the letter for expeditious issue of his passport, believing the assertions of a known Congress leader to the effect that his brother was not well on purely humanitarian and compassionate grounds," Singh said in his letter. The development comes after the Enforcement Directorate issued orders summoning Singh for questioning in the money laundering case. Singh said he did not verify the application of Khan for issuance of Passport which contains a specific clause that the officer/MP verifying knows the person personally. "As I did not know him hence I did not verify the application," he said. 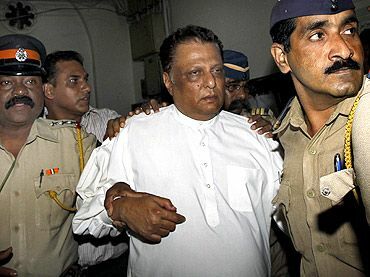 While talking about Tapuriahs, Singh said, the Kolkata based businessman was intoduced to him by Pandey as a 'prominent and august personality belonging to the Birla family" and also informed that Mahatama Gandhi used to stay at their residence whenever he visited the eastern metrolpolis of the country. Singh said Pandey also informed him that Tapuriah's wife Chandrika has to accompany her husband to a foreign destination for his treatment and she needed her passport to be renewed. "Chandrika Tapuriah also spoke to me and requested me to help her in the renewal of her passport on an urgent basis due to a medical emergency. Again on compassionate grounds I wrote a letter to the Joint Secretary, Ministry of External Affairs for renewal of her passport. "After that I have absolutely no link with Tapuriah or his family members and no one has ever contacted me on his behalf," the letter said. Singh said he has no link with Hasan Ali neither did he know his full name which he has now learnt from newspaper reports. "Neither have I ever met him or spoken to him and that letter of April 4, 1997 was an isolated incident. Neither before nor after that have I ever written anything for him," Singh said. The Puduchhery Lieutenant Governor also denied that a PSO had collected the passport of Khan from Patna passport office on his directions. "I distinctly remember that I did not send anyone to collect the passport of Khan from Patna or for that matter of anyone else. As far as I remember there was no constable by the name of Ashok Kumar as PSO with me during 1997 or at any time before or after that," he said.